Swiss International Air Lines has said it is monitoring Adria Airways' takeover of Darwin Airline "with great interest". In a statement to EX-YU Aviation News, a Swiss spokesperson added that while the carrier does not comment on other market player's business, "Swiss works closely together with Adria Airways as our current wet-lease partner". Besides both airlines being members of Star Alliance and codesharing on each others' flights, the Slovenian carrier is currently wet-leasing a Bombardier CRJ900 aircraft to its Swiss counterpart. 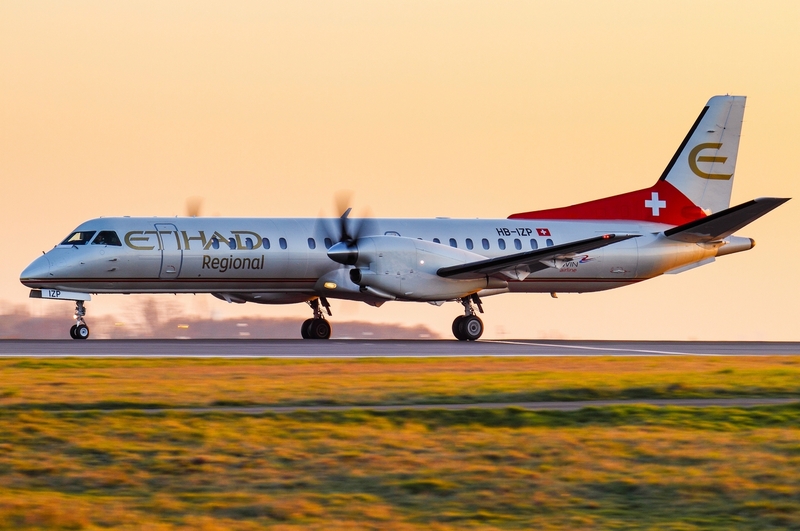 Following Etihad's purchase of a 33.3% stake in Darwin Airline in 2014, Swiss cancelled an agreement to accommodate Darwin passengers in the event of flight disruptions, terminated the wet-lease arrangement for Darwin aircraft and targeted Darwin's route network. As a result, the regional carrier lodged a formal complaint with the country's competition commission over alleged anti-competitive behaviour. Adria Airways has moved quickly following its purchase of a 99.1% stake in Darwin, with the remaining 0.9% to be acquired "shortly". A Darwin Saab 2000 aircraft, which has the capacity to seat fifty passengers, has already been deployed to Ljubljana from which it has commenced operations on behalf of Adria to destinations such as Sarajevo, Vienna and Warsaw. The aircraft will operate from the Slovenian capital until Monday. Darwin, which is shortly to be rebranded into Adria Airways Switzerland, has more than half of its ten-strong fleet operating on behalf of Alitalia. Currently, all of its four ATR 72 aircraft and two out of its six Saab 2000s are flying regional routes for Alitalia. The fate of the wet-lease arrangement under Darwin's new management is unknown. Earlier this week, Adria Airways' CEO, Arno Schuster, said, “Darwin is an excellent airline with experienced management and staff. Extending our network and, consequently, optimising cost structures will create a win-win situation for both carriers. Our experienced commercial department will market Darwin’s flights under the brand name Adria Airways Switzerland”. The Swiss regional airline has 250 employees. Darwin made a small profit last year and has forecast a positive result for 2017. Adria's owner, 4K Invest, is a private equity firm based in Munich which specialises in the acquisition of medium and large-sized companies with poor operating performance. It then systematically restructures them. Adria was its first investment in the aviation industry. Will be interesting to see what Adria's strategy will be. Also, let's hope they have more success than with their Polish adventure. By the way, does anyone know why the SAAB will operate flights out of LJU? Has one of their aircraft gone tech or is there something else? At the end of the day, I think 4K bought Darwin to make an eventual sale more likely. The only question who will buy it? LH? Yes, there seems to be shortage of planes in LJU so that's why they took one Saab for the weekend. Interesting, will be fun to see what happens now. Well that was quick with them taking a plane already. It also means they didn't have more than 50 pax booked on these flights. Although I think it is the perfect plane for these regional routes. Well it's not like Darwin needs the plane elsewhere. They've been all over the place since Etihad took over. They tried so many different markets and all of them failed. Etihad is seriously the worst when it comes to managing companies. The relationship with Swiss will be interesting to watch. Although I think all of this was arranged by Lufthansa. Remember Lufty is now on good terms with Etihad. It arranged taking part of Air Berlin's fleet, it is negotiating to take planes from other of Etihad's European adventures. So I have a very strong feeling they also arranged this with Etihad. I agree. 4K is realistic enough to know that there is no Adria without Lufthansa. If they make a move that might antagonize them then they risk losing their lifeline without which they won't be able to resell JP. What Lufthansa is doing is that they are getting rid of Etihad leftovers in their home market, first Air Berlin and now Darwin. It's a very smart move on their part. Adria Switzerland will expand only as much as Swiss allows them to. Given Adria's financial situation this might not be such a bad idea. What does this tie up mean for JU? Remember that Air Serbia recently launched the Etihad Airways contact center which only handled Darwin and Air Seychelles. How much revenue will they lose? No, it handles Air Serbia, Etihad Airways, Air Seychelles and Etihad Regional (which surely generated the least calls). Just like Adria did not buy Darwin. 4K did. In fact Adria Airways first established a Swiss subsidiary and then its new Swiss subsidiary bought Darwin. 4K didn't directly bought Darwin neither did Adria Airways. But there was an airline entity that did it and not 4K directly. Well, the money came from 4K anyway. They will probably but they won't care. As for ČSA airlines they see that it's not English so they won't bother looking into meaning. It would have been normal if they released some details of what they plan to do with this airline. I would be interested to see what price they bought it at. Did they buy it for less than they did Adria? So less than 100,000 EUR. I still personally think JP bought EY regional for the fleet. They will dissolve Darwin as a brand and focus on LJU opening new, regional destinations. This is great news for Adria! I wonder if they will start flights from Swiss cities to Albania and Pristina. 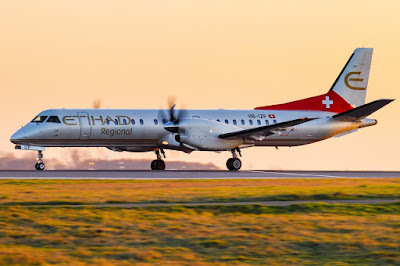 "Following Etihad's purchase of a 33.3% stake in Darwin Airline in 2014, Swiss cancelled an agreement to accommodate Darwin passengers in the event of flight disruptions, terminated the wet-lease arrangement a Darwin aircraft and targeted Darwin's route network. As a result, the regional carrier lodged a formal complaint with the country's competition commission over alleged anti-competitive behaviour." Imagine if an ex-Yu airline did this. All hell would break loose. But since they are Swiss all is cool. So what do you guys think? What's 4K playing at. Will they sell both companies in a package. I just don't understand this move. That or eventually launch an IPO somewhere in Europe (maybe Switzerland now... clever). Fund managers are nortorious for doing this and the original shareholders (4K in this case) just sell their shares into the market and get a decent profit. What happens after is not their concern. The name Adria Switzerland makes no sense. Like "sunrise" in general vocabulary doesn't. And Etihad, Braathens or new Air France Joon do make sense? It doesn't make sense because Adria refers to Adriatic sea, on which Switzerland isn't. And "sunrise" refers to the idea that Earth is a centre of the Universe and the sun circles around it. It is just a simple fact that you have an existing brand name and you just add operational location. That's it. Do you really think that passengers will look into logic of Adriatic see and Swiss Alps? To you think that passengers look into the meaning of ČSA airlines? only up to 50pax to SJJ and WAW? Seems so. Although it is Saturday. I assume most people traveling between LJU and SJJ would be flying on a Friday and Sunday. I doubt transfer passengers account for more then 10 per flight. Vienna also 50 or less. Yeah but it's the busy summer seasons so their planes should be totally full. SJJ is usually 50 or less on CRJ700 (70 seats) and I know that they rebooked several passengers via other Star Alliance hubs instead via VIE. It is still better than delays over 3 hours and leased F100 from Carpatair, like it was the case in last two weeks. It's going to be a much more comfortable ride than with Adria's CRJs. Those Saabs were very nicely fitted by Etihad. Large leather seats with large tray tables. Looks very nice. I find CRJ900 quite comfortable, however I also do agree, that Saab 2000 is a great plan for short flights, especially with Etihad Regional cabin interior. Anyone know which flights will be operated by the plane tomorrow? So far it has operated LJU-VIE-LJU. Late departure from Vienna by 40 minutes. Will these planes eventually get the Adria livery? Yes but I assume that the planes that are with Alitalia will stay there for the time being. I'm not that sure. Alitalia is a total mess. They don't pay for lots of (outsourced) services. Etihad behind both airlines was a different story, they were part of the same group, helping each other. It is more probable, that planes will be used for feeding Star Alliance hubs and inside Adria Airways network. I wonder how Saab compares to AT42 or ATR72 in terms of cost/seat/mile ? Well, it depends in how much the actual aircraft costs. Since the Saab isn't that popular any longer, I can imagine that they are cheap to lease. Operationally, however, Saab 2000 has a higher seat cost than ATR. Like the Q400, it flies faster than the ATR, so it burns more fuel. Still, Saab 2000 burns much less than the CRJ200 that offers the same number of seats. ATR is the cheapest of all, its actually the only money making TP. For sure, it has poor performance. To make a long story short, if you play in the third ligue you may use tp's, if you want to compete on the frontline, just forget about it or play between the mountains (without the ATR). Exciting time for Adria. I really hope this consolidation works out. Agree. Good luck Adria Airways (Switzerland)! JP is the next superstar. I remember your negative comments that it is going bust. Today, JP is the most successful carrier in ex-Yu. it depends on the future fleet plans..
Can you please list three facts that brought you to this conclusion? Superstar? It had a financial loss last year and was on the brink of bankruptcy several times over the past 5 years which was even confirmed by the finance minister. JU failed with EY? What planet are you on? JU flies to 42 destinations, double what it used to 3 years ago, has 20 planes, double what it used to, handled more than double of what Adria handles even though 4 years ago Adria had more passengers, has reported profit each year for the past 3 years.. you need a reality check. The winner sure isn't Adria. Looks more like there were some problems with HB-IZH (delayed form VIE) so they change the plane operating in LJU. Are parts for the Saab still available? Well comparing CRJ with Saab you must be joking or you never flew with an airplane. What do you like about the SB20 so much, brown leather coating or all those broken interior flying at the worst possible level?